TOGA! TOGA! TOGA! But life in ancient Rome isn’t just one big party. The Second Triumvirate has been shattered and Rome is embroiled in civil war once again. Octavian has declared Marc Antony and his Egyptian queen, Cleopatra, enemies of Rome and the legions march south toward Alexandria. The situation seems dire for Marc Antony following destruction of his fleet at the Battle of Actium, but in the dusty hills of Macedonia a dark secret of the empire is waiting to be unveiled. Governor Publius Artorius Stabo thought he was comfortably distant from the war. He was happy taking bribes and tribute from the local Macedonian nobles, indulging himself with slave girls, and avoiding his shrew of a wife. Then, a ragged band of survivors from Actium washed up on his shores, a group of Marc Antony’s legionnaires and a collection of Egyptian priests and priestesses who claim they are carrying a secret weapon to crush the forces of Octavian. Suddenly, his palace is full of opinionated nobles, Roman officials, and military men, all with different opinions of what need to be done with these castaways. Something’s not sitting right in the pit of the governor’s stomach, and it’s not just the pickled larks tongues in aspic. There seems to be something real, dark, and dangerous to the Egyptians’ claims and Publius now has to decide who he’ll be supporting in this war. 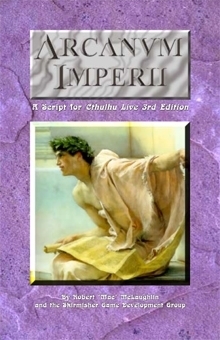 Arcanum Imperii is a Cthulhu Live 3rd Edition script set in ancient Rome designed for a dozen or more players that includes introduction, timeline, prop, and costume information and character stats and bios for more than 30 characters. 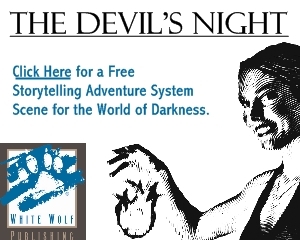 This download comes with three different variants of the game script — color, black-and-white, and background-free — and each of these comes in low-resolution screen-friendly and high-resolution printer-friendly versions. Arcanum Imperii is available at the Flames Rising RPGNow Shop. New Trail of Cthulhu Products from Pelgrane Press! 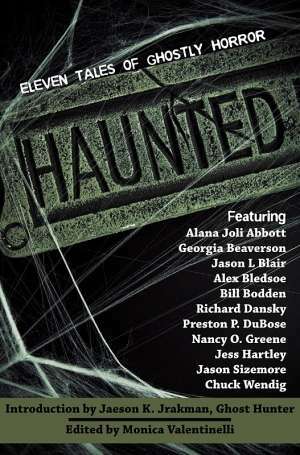 Cthulhu Live 3rd Edition eBook!